Mt. Hope Cemetery. 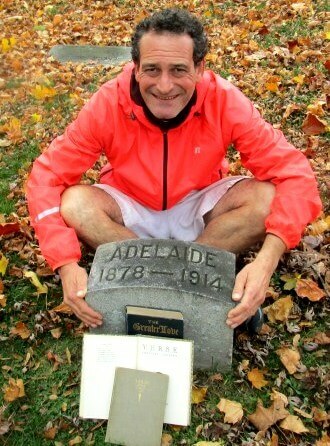 Most recent grave in the Spanish-American-War site. 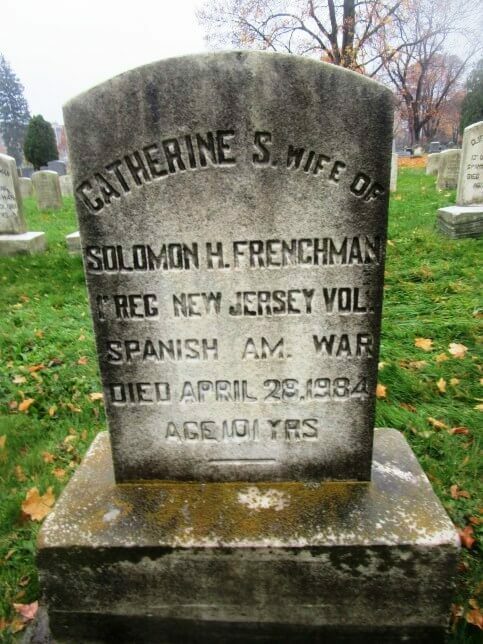 1984, Catherine S Frenchman, aged 101 from On Spanish-American War monuments in Rochester. from On the Other Side: a montage of Rochester’s resting places. And Susan B. Anthony’s gravesite on Election Day. Over the life of the magazine, Mt. Hope Cemetery has been a staple: for its history, its visual and architectural beauty, its poetic and spiritual inspiration and the site of a few adventures. 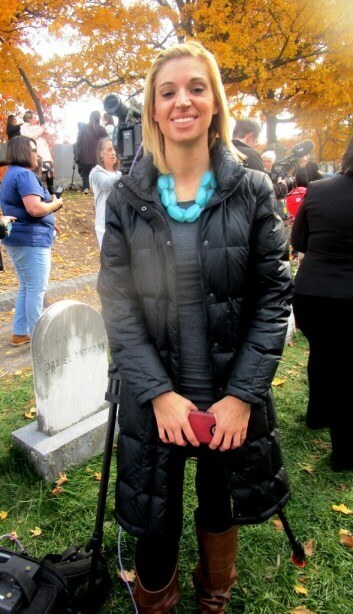 Yesterday, you read about the 7,000 people who trekked to Susan B. Anthony’s gravesite to pay an Election Day tribute. In one of many examples, preservationist James Caffrey taught us about Rochester’s famed poet Adelaide Crapsey and the unrequited love of famed architect Claude Bragdon. Today, George Payne enriches our aesthetic, intellectual, religious and mystical understanding of America’s oldest Victorian cemetery. Photos by George with links to Mt. Hope articles by George and others. see On the Other Side: a montage of Rochester’s resting places. And Susan B. Anthony’s gravesite on Election Day. 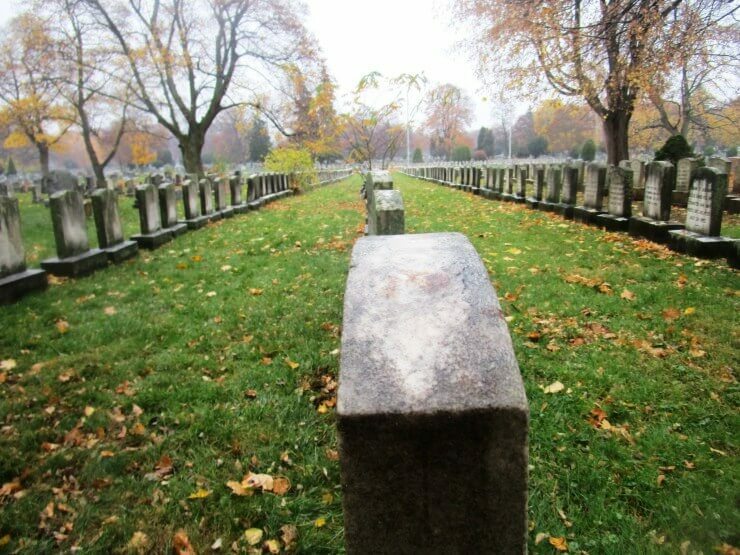 The Friends of Mount Hope Cemetery is a non-profit organization of volunteers founded in 1980 to restore, preserve, and encourage public use and enjoyment of this unique historical treasure. We have a wealth of resources available to help you learn about our community as reflected in the lives of those who chose Mount Hope Cemetery as their final resting place. Susan B. Anthony and her family, Frederick Douglass and family, Isaac and Amy Post, John Jacob Bausch and Henry Lomb (of Bausch and Lomb eyewear fame), Emily Sibley Watson, Margaret Woodbury Strong, and Reverend Thomas James are all here (to name a few), and they have much to tell us about the growing pains our nation continues to experience: issues of human rights, commerce, the power of government and the responsibility of the governed. The Friends have been instrumental in completing a number of improvements throughout the cemetery. Projects such as the restoration of the 1872 Moorish gazebo, upgrades to the 1874 High Victorian Gothic gatehouse, repair of the Florentine fountain, and the restoration of the Charles Rau mausoleum have been completed. Each year new historically important projects are organized. Founded in 1838, it was the first cemetery of its kind in the U.S. — municipally owned and built in the style of a Victorian garden. The cemetery features more than 80 mausoleums, soaring Egyptian obelisks, winged angels of mercy, a Florentine cast-iron fountain, two stone chapels in Gothic Revival style, a Moorish gazebo, and infinitely varied tombstones marking 350,000 graves across 196 acres. City of Rochester Seeks to Place Mt. Hope on the National Register of Historic Places. Cynthia Howk, architectural research coordinator at the Landmark Society of Western New York, thinks that Mt. Hope has more than a good shot at earning a place on the national register, which is an official list of places deemed worthy of preservation. It’s not that Mt. Hope has gone unacknowledged all these years. The northern portion of the city-owned cemetery already is listed in the national register as part of the Mt. Hope/Highland Historic District. Established in 1974, the district also includes all of Highland Park, as well as the Ellwanger Estate and other historic homes along Mt. Hope Avenue. But historians today might scratch their heads why the boundary lines were drawn as they were, Howk said, excluding roughly half the cemetery while looping in adjacent areas. Howk said she thinks it makes sense to now seek recognition for the entire cemetery as its own distinct site. Architectural flourishes include grand obelisks and columns, statues and an 1875 Florentine fountain made of cast iron. The Mt. Hope site was formed by glaciers that left behind rolling hills and gullies. Departing from tradition, its designers chose to leave the landscape as it was instead of trying to level it. At the time, it was the closest that the city had to a public park, and many residents picnicked there, Howk said. “The city of Rochester was very much on the cutting edge,” she said. "The process of [the Electoral College] election affords a moral certainty" The Federalist Papers, Number 68. And a Petition.